There is a new facet to our health and that is digital. Yes, you read that correctly, digital health focuses on creating a healthy balance in our use of technology. Obviously being conscious of digital health is important for adults but is even more so for our children. So, what does digital health involve? One of the key components is the management of time spent online. One of the first things we notice when we deliver our interactive workshops in primary and secondary schools is that many children and teenagers are not actively conscious of the amount of time they are spending on screens in places like their bedrooms, before they go to sleep. For older children and teens we explain the impact of what is known as the ‘blue light’ which is emitted from the vast majority of digital devices affects the level of melatonin in the brain. This can have a detrimental effect on things like the quality of sleep, energy levels the next day and importantly concentration levels. 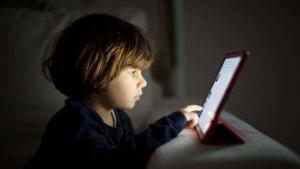 When children realise what kind of impact using screens before going to bed can have they can be genuinely surprised. The overall impact of screentime is inextricably linked to the amount of time spent online. Balance is the key here and that begins with education. It can be helpful if a child learns that time spent online can be part of their week but not the only focus of what they do. As we regularly say at Zeeko there is no substitute for face to face communication! The ongoing development of social skills is a cornerstone of child development and historically, has never involved the use of digital devices. So, what can you do as a parent to help your child build an awareness of their digital health? Encouragement and open communication are central to supporting your child in regard to this. Regularly remind your child of the importance of spending time with their friends in settings that do not involve using digital devices and communicating online. Encourage and promote moderation in the amount of time that your child spends online and using devices such as smartphones to communicate. Talk with your child about starting to think about the time they spend online as an important element of their overall wellbeing. In other words, too much time spent on screens or sitting playing online games can have an impact on their current on future wellbeing. In a similar way to the way in which healthy eating is incorporated into family life, digital health needs to be seen in a similar way. Encourage your family to have regular digital detox days and incorporate digital health into your family’s ‘Digital Contract’. Family life is sometimes hectic and always busy! Juggling all the demands of parenting can undoubtedly be challenging. Helping your child to be aware of their digital health is something that can be incorporated into your family life and become a regular part of your discussions on managing the digital world.